BEAT Talks are a monthly series of discussions held at the offices of varying architects across the city. Hosts share their learned experience and provide a window into the diverse ways to practice architecture. 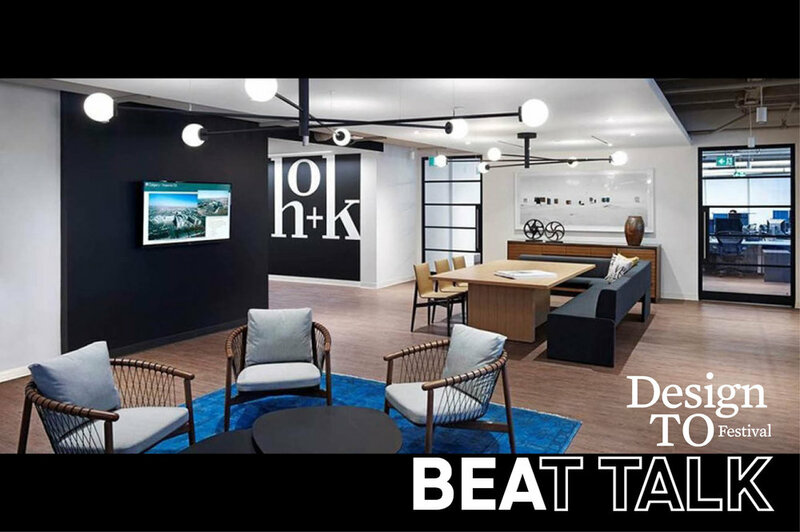 In conjunction with the 2019 Design Toronto Festival, the first BEAT Talk of the year will be hosted by HOK Architects on the evening of January 21, 2019. This event will showcase HOK’s Diversity Council and panel style discussion with their three co-chaired committee heads: Damon Sheppard (Washington), Shiva Mendez (San Francisco), Peter Mosanyi (St. Louis). HOK Diversity Advisory Council’s mission is to promote an inclusive business environment and a culture where people with varied backgrounds, perspectives, skills and experience can work to meet global client needs with creative and innovative solutions. The objective of the event is to provide a platform for dialogue, networking and mentorship while supporting and advancing equality within the architecture profession. Limited space available. Tickets to the event will be available through bellow link as of Friday December 21, 2018 at noon. Damon Sheppard joined HOK in 2012 and works within the Science + Technology practice in Washington, D.C. A native of Baltimore, Damon moved to D.C. to pursue his architecture degree at Howard University, where he now serves as an adjunct professor. Damon's time at Howard (a historically black college) helped to shape his views on the importance of diversity in the profession and the architect's larger role in society. His most recent project was a new facility at Morgan State University, another historically black university in his old Baltimore neighborhood. Shiva Mendez joined HOK in 2008 has served as the San Francisco studio's Diversity Advisory Council representative since 2013. Shiva grew up in Tehran, Iran, and immigrated to the U.S. in 1984 to reunite with her siblings, whom she hadn't seen since 1978 (before the Islamic Revolution). Shiva and her husband, Alexis, (a Mexican-born scientist/engineer) enjoy traveling the world, experiencing different cultures and raising their daughter as a true global citizen. Peter Mosanyi joined HOK in St. Louis in 2009 and has been the corporate representative to the Diversity Advisory Council since 2013. Peter and his family immigrated to the U.S. from the present-day Slovakia. During his law school training in Missouri and Georgia, Peter studied in China and Hungary—experiences that further shaped his belief in the importance of diversity, inclusion and cultural awareness. After law school, Peter worked for the St. Louis City Counselor's Office where he focused his practice on construction and development. Peter is active with community nonprofits focusing on youth leadership and empowerment and LGBTQIA advocacy. Farida Abu-Bakare joined HOK in Toronto in 2012 and serves as HOK Canada’s Diversity Advisory Council representative. Farida was born Canadian in Doha, Qatar growing up in Riyadh, Saudi Arabia immigrating back to Canada with her family in 1995. Farida has lived and worked with HOK throughout Canada and internationally to build an extensive portfolio including workplace, corporate headquarters, higher education, aviation, justice, science and advanced technology projects. Outside of HOK, Farida is the emeritus Community Affairs Director of Atlanta’s NOMA Chapter (National Organization of Minority Architects) whose mission is to champion diversity within the design professions. Her work with NOMA was advocating for greater professional opportunities for its current and future members by promoting design excellence, racial diversity, community engagement and professional development.